I got the idea from this post after watching a video by the lovely Claire from The Fashion Teller’s Notes, when she posted one of her own shoe collection HERE. Take a look, she’s got some gorgeous heels! Anyway , I decided it was a fab idea for a post, so I’ve done my version for all of you lovely people! I’ve just picked my favourites at the minute, but this is only a fraction of what I own. I’m a bit of a freak when it comes to shoes. Each pair has its own plastic shoe box, with a picture of the pair on the front, and a silica gel packet in each to keep them fresh! Yes, I know its a little obsessive, but my shoes are my babies, and they need looking after! Just so you know, a few of these have masking tape on the soles as they were used for a photoshoot recently. I just haven’t got round to taking it off! 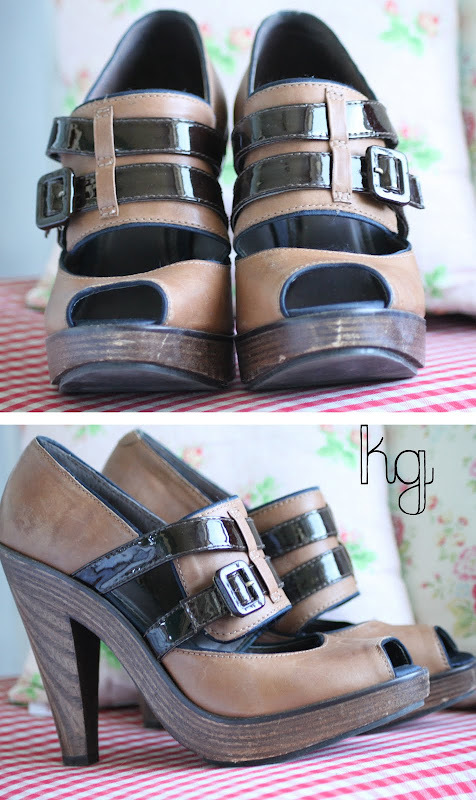 Next is a pair of Gladiator style wooden heels from KG by Kurt Geiger. These were my first pair of heels from Kurt Geiger and the start of a huge love story with the brand. Dan managed to get me this in a mega sale where he works ( you’ll start to see a pattern occurring, all KG and Carvela are from him! He’s a good’un!) I love them. I love the fit. I love everything about them! These are so comfy, and look great with a tan on holiday. These will always be my number one summer heels! 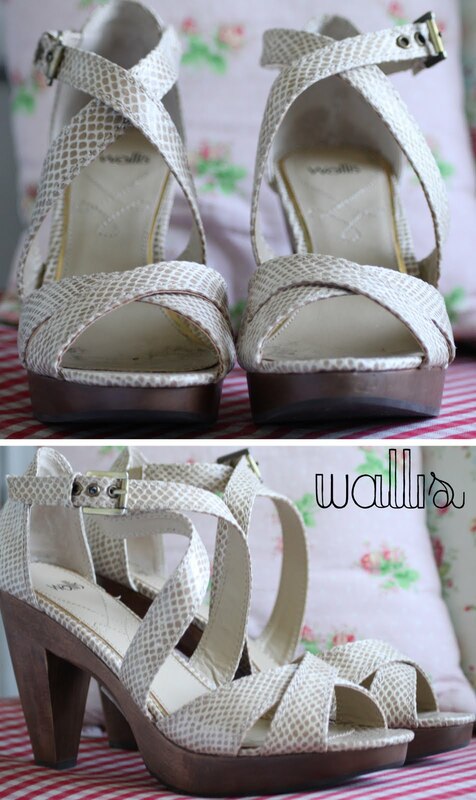 This is a pair of heels I got recently from Wallis, but I haven’t had chance to wear them yet. I love the height of the heel, which is perfect for day time. The snakeskin and wooden heels makes them really wearable but easy to dress up too. I love how they don’t look like Wallis shoes at all. They could easily be Topshop in my opinion! 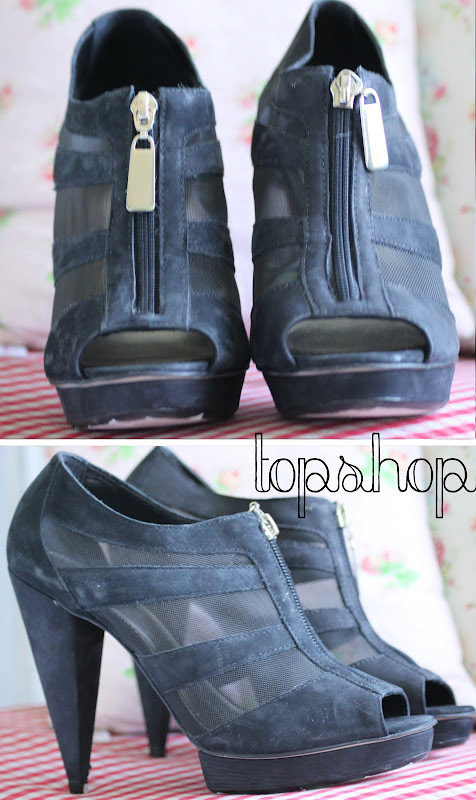 Next up are my Topshop mesh zip up platforms from last year. These are the shoes that I always go back to. They go with everything, and look amazing with black opaque tights and a pretty dress. I think these will be in my life for a while as they are so very perfect for me. They are so unbelievably comfy for their height, and add a bit of an edge to any outfit. These beauties are one of two pairs Dan bought me for Christmas last year. He has amazing taste in shoes for a straight guy and knows exactly what I like which is very handy! 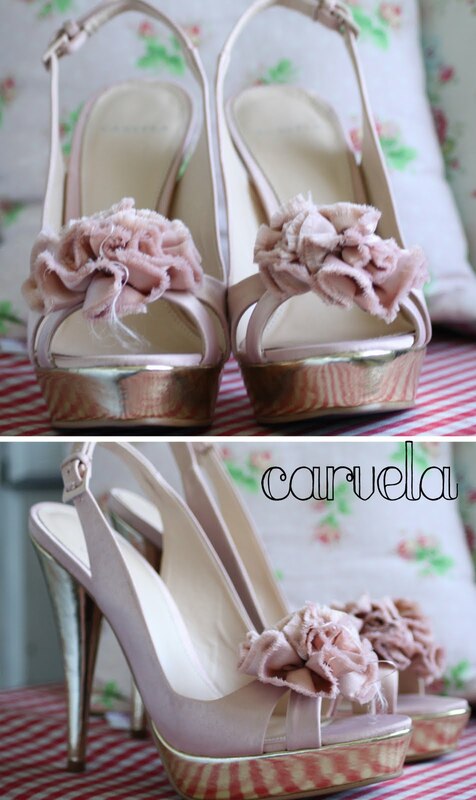 These are Carvela and are simply stunning. I feel like a princess when I wear these as they’re so pretty! I love the gorgeous corsages at the front, and the contrast between shell pink fabric and a gold coloured heel. These babies are the second pair from Dan, and these are definitely what you would call ‘Killer Heels’! They are probably one of the hardest, most painful pairs of shoes EVER to walk in ( have you seen the heel!?) but they are so worth any pain! 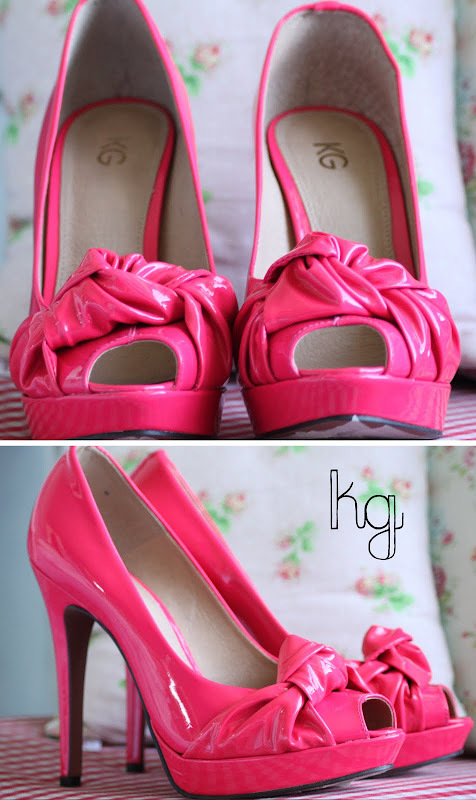 They remind me of Barbie’s heels which I think is a good thing. They are so yummy to look at, and everyone always drools over them when they set eyes on them. They’re mine! Mwahaha! 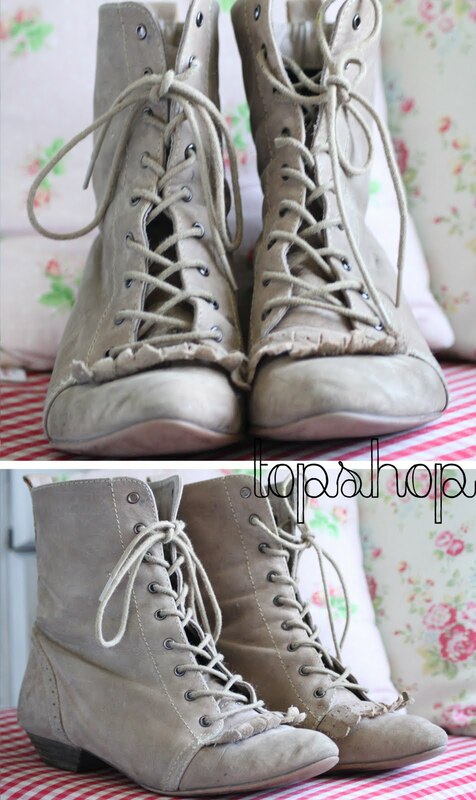 One of my favourite pairs of boots is this one, from Topshop. These have featured quite heavily in my outfit posts recently, as I seem to wear them ALL the time! They are really comfy and so versatile, and add a gorgeous vintage touch to loads of outfits. The colour is gorgeous too, and all the detailing is really pretty and subtle. 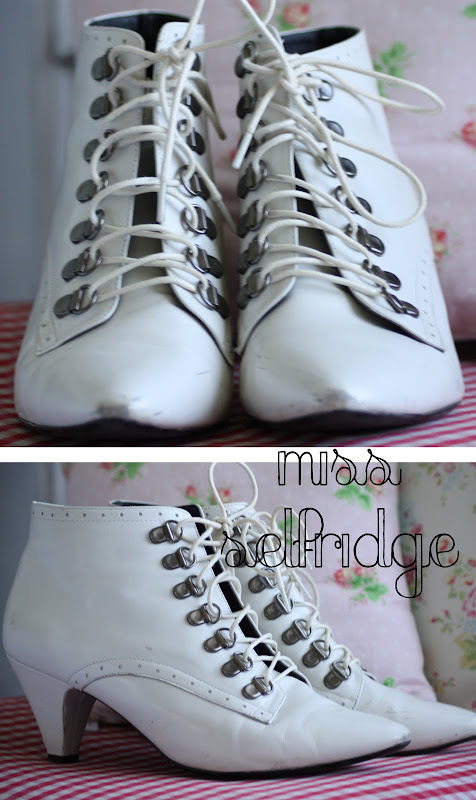 Last but not least, are these beautiful little Miss Selfridge booties. I got them in the sale for around £20.00, and they’re real leather, so a very nice bargain! 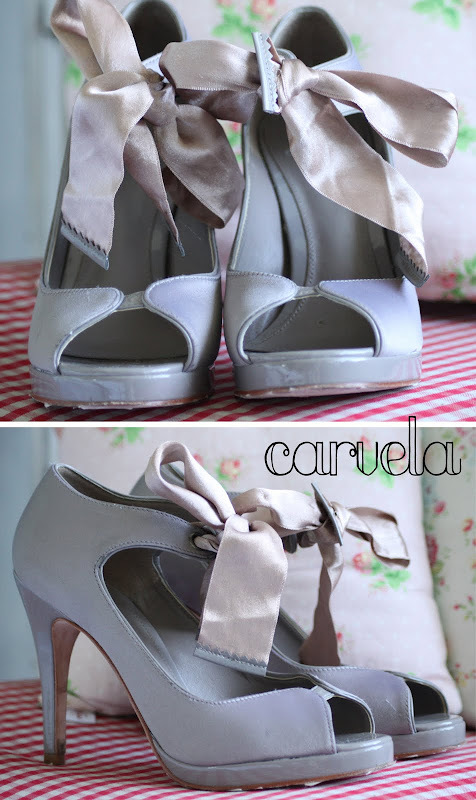 they have a gorgeous little kitten heel and again, some really nice subtle detailing. As you can see, these are scuffed and scratched, but I think that makes them look better personally! Again, a pair that add a vintage look to any outfit, and very comfy! So there you go! My favourite shoes. I know already that I’ve missed a few I wanted to show you, but I’d be here forever if I did any more! Hope you like them! You’ll no doubt be seeing them all in outfits in the near future! I have a pair of KG's & a pair of Carvelas and they are both amazing! I love them, they are expensive enough to feel special but not out in a stupid price range. I can't believe you have one pair of KG's and Carvelas, let alone two! They are gorgeous! It makes my own shoe collection look horrible. you have exceedingly yummy taste in shoes!!!!! Your other half has very good taste in heels! Gosh you have so many beautiful heels! And they look like they're in excellent condition too! I LOVE the black topshop pair, I can see why they're such a stylish failsafe.